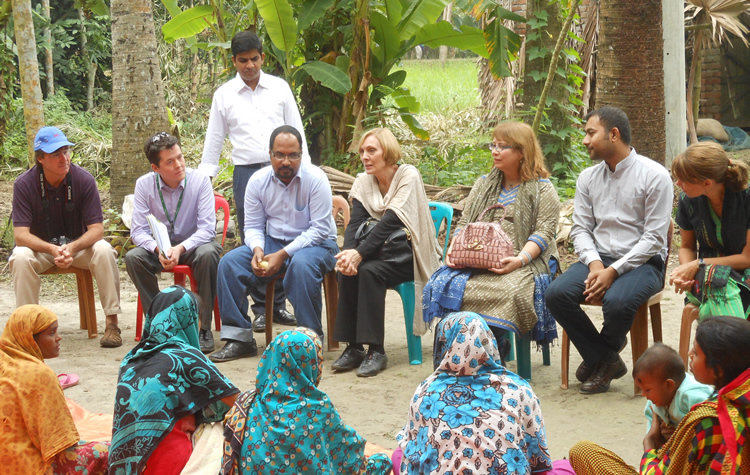 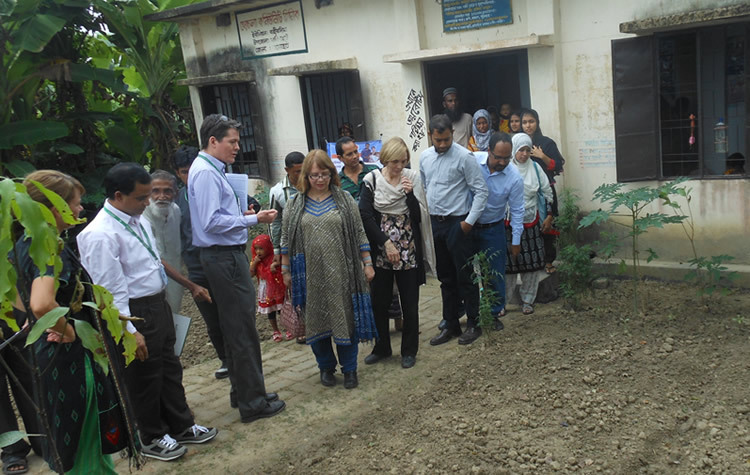 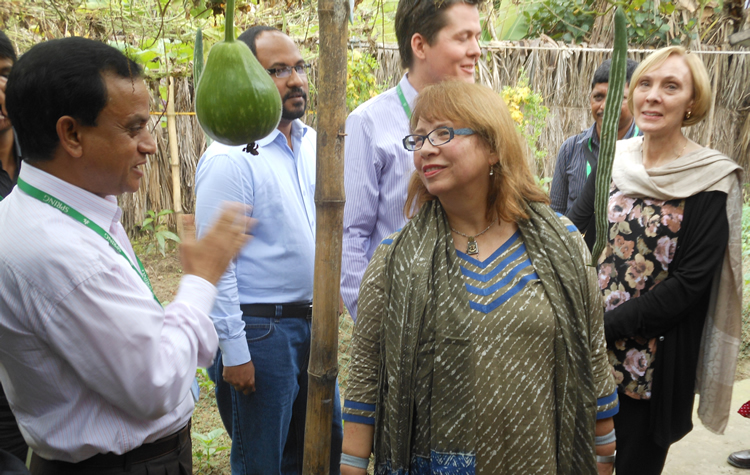 SPRING Country Manager, Aaron Hawkins, and the USAID Mission Director and Assistant Administrator for Asia inside the Hochla Community Clinic discussing what SPRING does with its training for Government of Bangladesh staff. 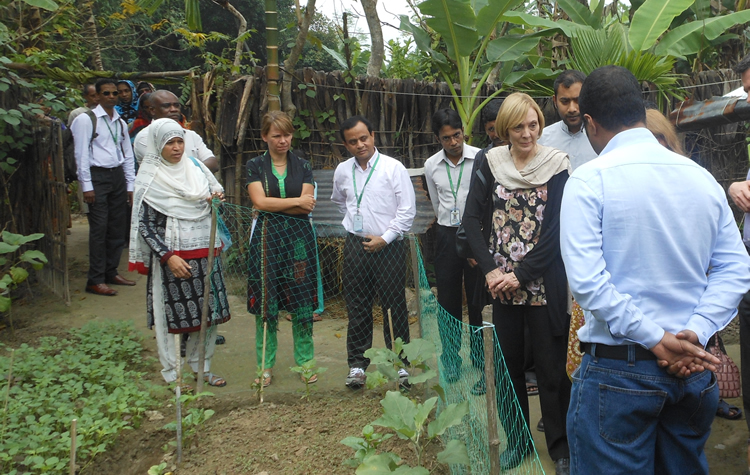 Outside the Hochla Community Clinic, SPRING Country Manager, Aaron Hawkins, points out the garden set up by a community healthcare provider to help promote dietary diversity. 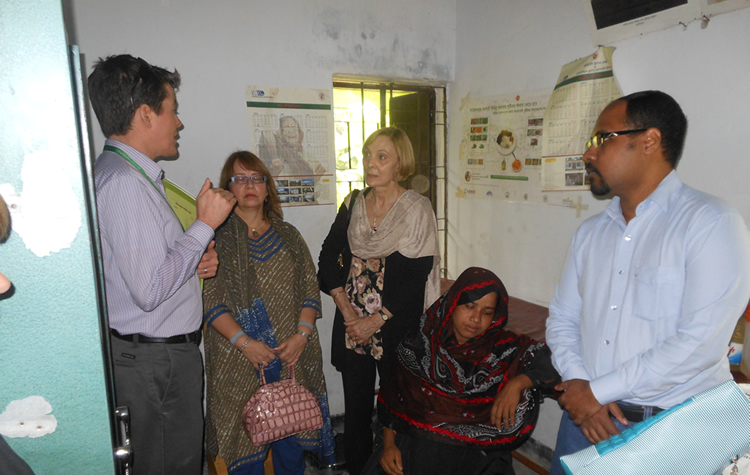 In the window is a tippy-tap that SPRING helped the clinic set up.